On August 9, 2015, three days following the inauguration of the New Suez Canal, President Abdel Fattah El-Sisi issued Decree No. 330/2015 declaring the area adjacent to the Canal a special economic zone. Such a declaration brings investments in the Suez Canal region within the realm of the Special Zones Law No. 83/2002 (SZ Law). Establishing a special economic zone in Suez is significant for a number of reasons. The SZ Law provides important incentives to investors wishing to establish or operate agricultural, industrial, and service projects in the zone. Special economic zones also enjoy autonomy, as they are governed through an independent general authority (General Authority), which means they are relatively free from bureaucracy. In addition, the Suez Canal Economic Zone benefits from an unrivalled location and preferential market access, through bilateral and multilateral agreements, to Africa, the Middle East, Europe and the USA (through the QIZ agreement). In brief, the SZ Law creates important opportunities with the aim of attracting private sector-led economic growth and increasing foreign direct investment in Egypt. 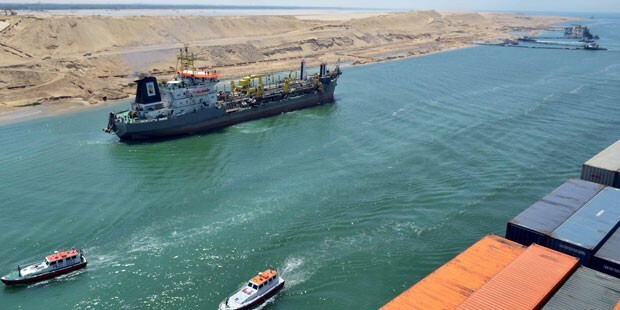 Extending the operation of this law to the Suez Canal region is an important step towards Egypt’s economic recovery as a promising emerging market. This blog article provides a brief introduction to the SZ Law and outlines certain legal and practical benefits the Law offers Egyptian and foreign investors, notably around the Suez Canal Economic Zone and other special economic zones in Egypt. The SZ Law provides investors with a number of practical benefits that aim to streamline the flow of business. Each economic zone is administered by a General Authority created by Cabinet decree, whose purpose is to develop the zone, ensure its smooth management, and guarantee the application of the law within the zone. In other words, the SZ Law creates a “one-stop shop” for investors within each relevant special economic zone. What this means is that each General Authority enjoys the same powers as relevant government ministers, governors, and authority chairpersons. Its Board of Directors (BoD) puts in place policies and regulations to achieve the purpose for which the zone was established including (i) the conditions and standards of urban planning and construction; (ii) rules pertaining to the management of ports, airports and their efficient operation; (iii) conditions of export-import from and to the zone in a way that ensures efficiency, health, safety and environmental protection; and (iv) conditions relating to real estate authorization, notarization and legalization. This contributes to a more business-friendly environment that is supportive of private sector growth. The BoD is also responsible for governmental functions relating to issuing licenses and permits. Accordingly, all construction, environmental, industrial and agricultural permits, licenses and approvals can be obtained from the General Authority’s BoD instead of the numerous entities that investors would otherwise need to approach. It is also in charge of regulating all corporate affairs within the special economic zone, including overseeing the incorporation of companies, issuing commercial registry extracts and ratifying company board resolutions. It therefore plays the same role performed by the General Authority for Investment and Free Zones (GAFI), the Companies’ Authority, and the Commercial Registry Authority outside of the zone. This is crucial as it cuts down on bureaucracy and provides investors with a predictable business environment. Experience with the General Authority for the Economic Zone North West of the Gulf of Suez, which was established in 2003, shows that such functions are typically performed swiftly and efficiently within the zone. Besides the practical benefits described above, the SZ Law provides investors with certain tax and customs benefits. For example, the SZ Law exempts transactions within the zone from all sales taxes and stamp duties. Similarly, machines, equipment, raw materials, vehicles, spare parts and any other materials or components imported from overseas are exempt from customs duties, sales and any other taxes or levies, to the extent they are used in the context of the person’s licensed operations within the zone. In addition, certain industries (e.g., logistics, power and renewable energy, shipping and transportation) may, after obtaining a decree from Cabinet, enjoy certain non-tax benefits and incentives, which include (i) the allocation of lands needed for their projects in exchange for a nominal fee or on a deferred payment basis, (ii) the General Authority’s payment of all or part of the Egyptian workers’ technical training expenses; and/or (iii) the General Authority’s payment of the employers’ and Egyptian workers’ share of all or part of their social security contributions. Besides constituting an economic incentive to business owners, the General Authority’s coverage of worker training and development costs will serve a social function by maintaining workers’ employability and improving their productivity and living standards. This promotes social justice and equity in the long run. Under Egypt’s Companies Law (Law 159/1981, as amended), the transfer of the company’s shares in the first two years following incorporation is subject to severe restrictions. The SZ Law, however, allows for the transfer and disposal of the shares and quotas of companies immediately upon incorporation, subject to obtaining the General Authority’s approval upon the Cabinet’s recommendation. The waiver of restrictions on the free disposal of shares will encourage investors seeking a quick return on investments to enter the Egyptian market through special economic zones. Finally, to streamline the resolution of disputes, the SZ Law establishes a dispute resolution center (DSC) headed by a senior judge whose purpose is to resolve tax, customs, employment, social security, contractual, and extra-contractual disputes involving entities within a special economic zone. This is a laudable goal as it attempts to ensure the swift adjudication and settlement of disputes. The DSC’s decisions are binding, yet may be appealed to local courts. Keeping with the spirit of swift resolution of disputes, a party will be allowed to resort directly to courts in the event the DSC fails to address its claim promptly, if its complaint relates to a matter that falls within the jurisdiction of summary courts, or if it seeks to stay the execution of an administrative decision. The foregoing, however, does not deprive parties from resorting to arbitration as an alternative form of dispute resolution, the speed of which is generally in the hands of the parties. As a result, investments are protected and are subject to the complete rule of law. The inauguration of the New Suez Canal on August 6, 2015, and the enactment of Decree No. 330/2015 three days later serve as fertile grounds for investment opportunities in Egypt. Given the practical and legal benefits offered by the SZ Law, in addition to the Suez Canal Zone’s strategic location, it is expected to attract many local and foreign investors, particularly in the petroleum equipment, textile and garments, automotive, pharmaceutical and chemical industries, as well as in logistics and transshipment services. This sets the stage for the Suez Canal Economic Zone to meet its projected target of contributing $40 billion to Egypt’s economy in the future. It also ensures that such growth will remain sustainable and equitable, ensuring that Egypt’s drive for economic development is people-centered.